These lyrics from Stevie Nicks are from her popular song, “Landslide.” For the people living in Coupeville, WA ( near my hometown of Oak Harbor), these are all too frighteningly real. 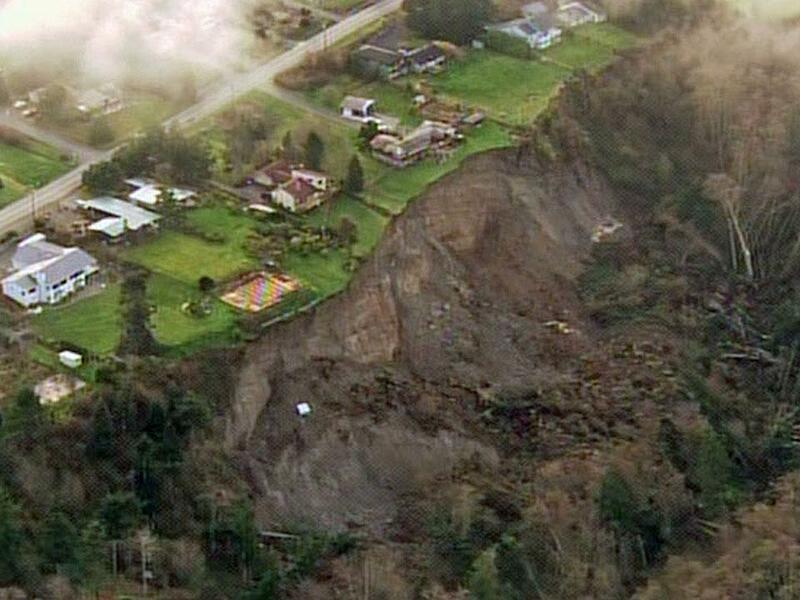 Houses perched atop a beautiful bluff overlooking the water are now dangling perilously over the edge after a landslide tore apart the hillside. The topic of insurance has been raised as many of these homes find themselves uninsured due to a common exclusion that isn’t fully understood by the average insurance buyer. Everyone knows about earthquake insurance and they know it’s excluded on the homeowners policy. If you live in an area that needs it, you will pay a hefty price tag to carry the coverage. Many go without it for natural reasons. Newer homes built out of frame and not in a slide area are low risk. Why pay a lot of money on insurance when the chance of ever needing it is so low and the cost of the insurance and your deductible are so high? In many cases, that is a valid argument and I have often recommended a client NOT purchase the coverage because I didn’t see a huge exposure. If you own a home near or on a bluff, hillside, cliff, or ledge, you need to purchase earthquake insurance. Your real risk is more likely to be earth movement and this insurance policy picks that up, too. Take a look at your property. If you believe your house can be damaged by some earth movement because the direction it moves causes it to fall off the side of the word, it’s in your best interest to buy the coverage. Don’t be tricked by the mane of the policy. Earthquake insurance protects for more than just the big shaker. It protects the value of your home if it slip slides away. My heat goes out to these folks, whether they have insurance coverage or not. We pray that the houses avoid going down the hillside. For those of you watching from afar, use it as a lesson. Look at your home and the concern related to earth movement. If you are even at all worried, you need to talk with your insurance agent and find out what the cost is. It may end up being the best insurance you ever buy.